Bertone: a Secretary "of Church", not "of State"
Second part of our Interview Week. Tarcisio Cardinal Bertone takes his position as Secretary of State on September 15. Andrea Tornielli (one of our favorite Vaticanists) went to visit Bertone in Genoa in his last days in the Ligurian capital, and the result was a great interview, made public yesterday and published in today's edition of Il Giornale. What is the reason for the choice of [your name by] Benedict XVI? The question should be asked of the Pope. Nonetheless, I hope to be able to contribute to strengthen the spiritual mission of the Church, which transcends politics and diplomacy, even if the Secretary of State should use all the means to aid the mission of the Church in every sphere. Monsignor Bettazzi, Bishop emeritus of Ivrea, my native diocese, recommended that I should be a secretary "of Church" more than "of State". I agree with him. You were the second of Cardinal Ratzinger for seven years. What is his way of working? The Pope was Prefect for the Doctrine of the Faith, you were his number two: now the order recomposes itself. Will the Vatican become a great Holy Office? I wish the correct name were used: the Holy Office is today a place, a palace, not the dicastery nor the way the dicastery works. The Congregation for the Doctrine of the Faith has certainly the function of protection of orthodoxy and, in this, to use the words of then Cardinal Ratzinger, develops a "democratic work", because it protects the faith of the simple [faithful], of those who do not write books, editorials, or go to talk shows. It is necessary to also remember, though, its fundamental role in the promotion of the faith in collaboration with the mission of the Church. Having been at that dicastery helps [me] to announce the Gospel in its entirety, without renouncing the approach which places man, the end of creation and redemption, in any country, culture, and condition, at the center. You closely followed the publication of the secret of Fatima: are there [further] catastrophic revelations regarding the future or has everything been revealed and accomplished? I met sister Lucia many times and had in my hands the declaration written by her on the matter. There are no further revelations of Fatima and the so-called Third Secret has been completely revealed. 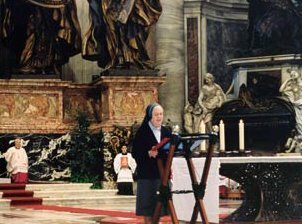 As for the catastrophisms, some said that sister Lucia did not close her eyes at night since she was so terrified of the imminent disasters. She answered me, "But if I did not sleep at night, how would I be able to pray all day long?" Sister Lucia recommended that credit should not be given to these announcements of misfortunes. and Benedict XVI has a modern mind..."
First part of our Interview Week. From the October edition of The Angelus, an excerpt of Stephen Heiner's astonishing interview with Richard Williamson, one of the four bishops consecrated by Archbishop Marcel Lefebvre and co-consecrated by Bishop Antonio de Castro Mayer in 1988 for the Priestly Fraternity of Saint Pius X (FSSPX/SSPX), exactly one year after the visit of the Superior General of the FSSPX (Bishop Bernard Fellay) to the Holy Father at Castelgandolfo. ... Your Excellency, going back to the interview I did with Bishop [Bernard] Tissier [de Mallerais, one of the other three bishops consecrated in 1988] for the Remnant in April, Fr. Anthony Cekada [a Sedevacantist cleric somewhat well-known in America] wrote an article in response that said that for Bishop Tissier, there are no consequences for professing heresy. Is that a fair assessment? Bishop Tissier would certainly say that what he calls the heresy of Benedict XVI has the very gravest consequences, namely the destruction of the Catholic Church! Then what do you think Fr. Cekada had in mind? From today´s destruction of the Church, Fr. Cekada concludes that Benedict XVI cannot possibly be a true Pope. Fr. Cekada surely wishes that Bishop Tissier would draw the same conclusion. Is Fr. Cekada right or is Bishop Tissier right? Myself, I believe that Benedict XVI is the true Pope, so I think Bishop Tissier is right. But what about Benedict XVI´s heresy? To be such a heretic as to so put oneself out of the Catholic Church that one cannot possibly any longer be its head, i.e. Pope, one must know that one is denying what one knows to be a defined dogma of the Catholic Faith, because such a denial amounts to deliberate apostasy. To become, or to continue being, a Catholic, is a choice. If I know what a Catholic must believe in order to be Catholic, and if I refuse to believe it, then I am choosing to be a heretic instead of a Catholic, and I put myself outside the Church. So Fr. Cekada would believe that this is the case of Benedict XVI, and you believe it is not? 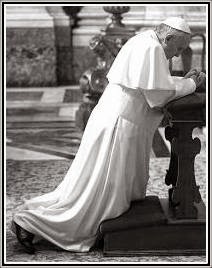 Because modern minds are very sick, as minds, and Benedict XVI has a modern mind, like millions and millions of modern people, including churchmen, around him. The sickness consists in believing that there is no fixed, objective truth which absolutely excludes error. For example, I may believe that 2 and 2 are 4, but I will believe that they can also be 5 or 6 or 600,000 or whatever. The “truth” is what my mind makes it. But the mind is made for objective truth like lungs are made for oxygen, so just as lungs without external oxygen are sick to death, so a mind with no external truth is sick to death. And how do we see this in someone like Benedict XVI? Benedict XVI believes that Catholic “truth” can evolve. For instance, very serious statements of Catholic truth that cannot change, like the Syllabus or Pascendi, he calls merely “substantial anchorages” in Church doctrine, meaning that the Church could anchor there, and usefully anchored there for a while, but in modern times the Church needs new “substantial anchorages” in doctrine. He cannot see that this anti-modern Catholic doctrine of his predecessors is of such a nature that it cannot change, and not even as Pope can he change it. His poor mind, however gifted, is sick with that modern – especially German – philosophy which unhooks the mind from its object, like cutting off lungs from oxygen. But – and that was my follow-up question – how can Benedict XVI not be aware of his condition? He is an educated man, a high churchman, learned in philosophy and theology! Yes, but like so many high churchmen, even before Vatican II, he is learned in the wrong philosophy! And since in our sick age the wrong philosophy (2 and 2 are 4 but can be, or become, 5) has become “normal”, then he cannot imagine he may be wrong. When John Paul II promoted “conservative” conciliarism, 2000 bishops praised him for being “conservative” and the other 2000 blasted him for being so. Only two bishops dared to protest to his face that he was not truly conservative at all, because he was conciliar. Humanly speaking, repeat, humanly speaking, how could he believe that the two were normal and the four thousand were abnormal? How could he not think he was being “normal”? In the good old days, a Catholic Pope put very intelligent and orthodox theologians in the Holy Office, formerly known as the Inquisition, and these would interrogate a neo-modernist thus: “You have written that Pascendi is only a ´substantial anchorage´. This amounts to heresy. Either you retract, or the Pope has authority to excommunicate you. Kindly choose.” And the neo-modernist would have had to choose, having been made aware, by Church authority, of his heresy. In other words, a heretic might have blinded himself, but Mother Church used to use her God-given authority to force him to be aware of his heresy. Correct. But this last resort is unavailable to today´s churchmen, because they are the authority! As Archbishop Lefebvre said in the 70s to the Conciliar Holy Office when they interrogated him on his anti-Conciliarism, “I should be sitting in your place, and you should be sitting in mine”. God bless him, the Archbishop never lost his grip on objective Catholic truth! Then churchmen such as Benedict XVI are completely innocent of what they are doing? I did not say that. If they are the authorities of God’s Church, then logically the Lord God is offering them all the graces they need to lead the Church rightly. If then they are misleading the Church, they are refusing those graces, which means that they cannot, inside themselves, be innocent. But we are entering into inner depths upon which God alone can judge. Stephen Heiner is the editor of TrueRestoration.com and conducted the interview in person in Argentina. The full interview will be available in the October issue of The Angelus. 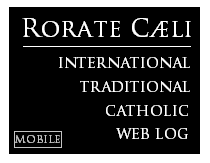 Readers of Rorate Cæli may receive a 13 month subscription for the 12 month price of $29.95. Just make sure that you mention this when you call (800-966-7337, for readers in North America: offer good until the end of September). Rorate Cæli Disclaimer: "Dear Readers: We are in no way associated with The Angelus magazine or with Angelus Press, and have never received nor will ever receive any kind of monetary benefit from them, and seek here merely to pass on to our readers the opportunity to save some money on an eventual subscription." "Lefebvrite bishop says no progress on reconciliation"
Bishop Fellay said that after the terms of a possible agreement were discussed by cardinals and Roman Curia officials in meetings last spring "there's been no development" on the issue. "I think probably the pope would like things to go quicker, and he's probably facing a lot of opposition from the cardinals, from within," Bishop Fellay said Aug. 24. "Right now, there's not much happening in either direction," he said. Bishop Fellay spoke by phone to Catholic News Service from the society's headquarters in Econe, Switzerland. "Naturally, I was not in favour of the Communists. How could I be, when if I had been a Spaniard they would have murdered me and my family and friends?" Yes, a Protestant Briton, who really knew what a "Fine hour" was, better understood the murderous forces involved in the Spanish Civil War than many a Catholic in our days! -July 27, 1936: Eustaquio Nieto y Martín, Bishop of Sigüenza. Shot dead by Republican militiamen (who had kidnapped him from the Episcopal Seminary) in the road to Estriénaga. -August 5, 1936: Salvio Huix Miralpeix, Bishop of Lérida. Taken by the Republican commitee of Lerida, with 21 other men, to the local Cemetery, Don Salvio Huix asked to be the last one to be executed. After blessing the other victims, he was shot and buried. -August 9, 1936: Cruz Laplana y Laguna, Bishop of Cuenca. Taken hostage by some Cuenca Socialist activists, he was shot after being taken out of the bus in which he was being transported, in the fifth kilometer of the road from Cuenca to Villar de Olalla. His last recorded words were: "I know you will kill me, but if my life is necessary, I offer it for Spain ... Do you believe that there is no Heaven? There is a Heaven, my sons! Do you believe that there is no hell? There is a hell, my sons! ... You may kill me: I leave you my body, but my soul will go to Heaven ... I forgive you and in Heaven I will pray for you." His secretary, Father Fernando Español, was killed with him. The body of the bishop was brutally disfigured after his execution. -August 9, 1936: Florentino Asensio y Barroso, Bishop of Barbastro. The bishop was executed near the road to Sariñena, on the outside wall of a chapel. A line of other unwanted men was executed by the Republican militia at the same spot. -August 9, 1936: Miguel Serra y Sucarrats, Bishop of Segorbe. Before being executed by Socilaist forces, close to a road near the hamlet of Vall de Uxó, Don Miguel Serra proclaimed, "¡Viva Cristo Rey!" -August 12, 1936: Manuel Basulto y Jiménez, Bishop of Jaén. He was executed by Red forces together with his sister, Teresa, his faithful assistant for many years. Before being executed, Don Manuel Basulto fell on his knees and said, "Forgive, o Lord, my sins, and also forgive my murderers". His sister yelled, "This is infamous! I am a poor woman!". "Do not worry", the militia leader told her, "a woman shall kill you". -August 12, 1936: Manuel Borrás Ferré, Auxiliary Bishop of Tarragona. After many days in jail and after he had been separated from Cardinal Vidal y Barraquer, Archbishop of Tarragona, who managed to escape the country, he was "convicted" by a "People's court". On August 12, Don Manuel Borrás was taken in a truck to the place of his execution, near the town of Coll de Lilla. After killing the holy man, the Reds covered his body with some wood and set it on fire. -August 22, 1936: Narciso de Esténaga y Echevarría, Bishop (Prelate) of Ciudad Real. Don Narciso de Esténaga was arrested by Republican forces in the morning of August 22, with his faithful secretary, Father Julio Melgar. Details of their execution are unknown, but their bodies were found in the afternoon of the same day, by the river Guadiana, near the town of Peralvillo del Monte. Before the end of the month, two other bishops would be murdered, as we shall see next week. Through the example of these episcopal martyrs, we pay homage to the thousands of priests and laymen martyred in Spain in the months of July and August of 1936. 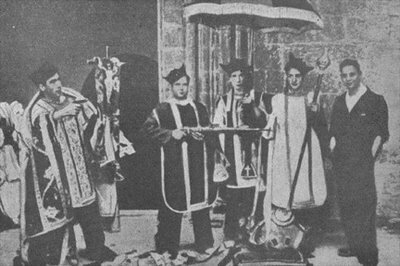 Source for the information on the Spanish Martyrs: Antonio Montero Moreno, Historia de la persecución religiosa en España - 1936-1939. How does an altar disappear? 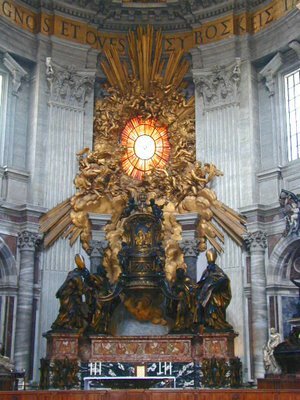 The center of Christendom, the mighty new Patriarchal Basilica of Saint Peter in the Vatican (whose 500th anniversary we celebrated so conspicuosly this year) has, in its apse, one of the most famous sculptural groups in the world, the Chair of Saint Peter, by Bernini. 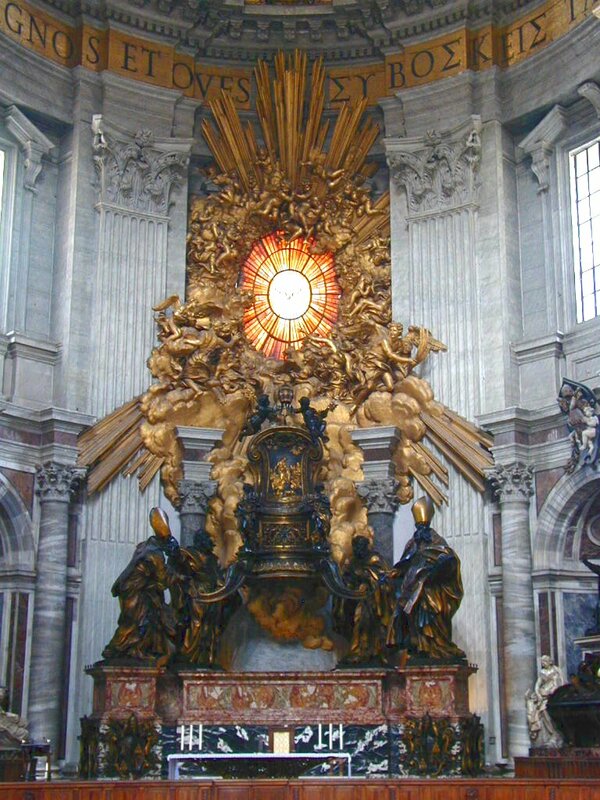 The image is well-known to all Catholics: the Holy Cathedra, embedded in a chair-like bronze sculpture, apparently suspended in the air, surrounded by angels, an alabaster window with the Holy Ghost, and four Doctors of East and West. 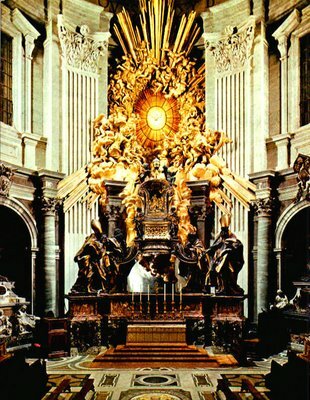 When Bernini finished this Counter-Reformation masterpiece, he included a marble altar and marble steps, moving (as it were) upwards towards the Cathedra, as it is plainly seen in this picture, with the traditional Roman altar arrangement (six candlesticks and a Crucifix). 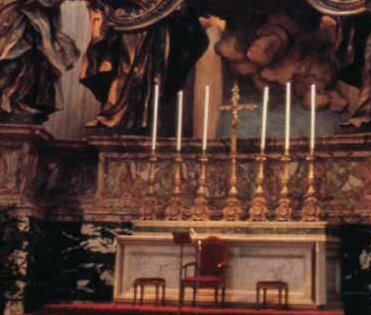 What many Catholics do not realize is that, sometime in the second half of the last decade of the past century, a liturgical expert in the Vatican (we would venture guessing a name...) decided to do something about that altar: the old, Traditional, look would not do. The complete removal of the altar was necessary. The Basilica had to be updated! Photographic collection tip: Cattolici Romani. and gained a powerful Intercessor in Heaven. "Fratres, notum vobis facio Evangelium, quod prædicavi vobis, quod et accepistis ... Tradidi enim vobis, in primis quod et accepi: quoniam Christus mortuus est pro peccatis nostris secundum Scripturas: et quia sepultus est, et quia resurrexit tertia die secundum Scripturas: et quia visus est Cephæ, et post hoc undecim..."
...as to the common faith of all people; therefore, he says: which you received, all of you. But Augustine says that this pertains to the evidence of this faith, using this argument: For believing things of faith, miracles are either performed or not. If miracles are performed, I have my point: that they are most worthy and most certain. 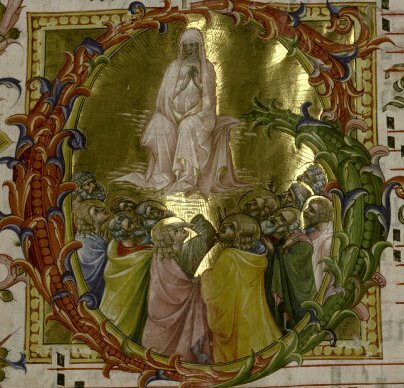 If none is performed, this is the greatest of all miracles: that by a certain few an infinite multitude of men were converted to the faith, rich men by poor men preaching poverty; by men of one language preaching things that surpass reason, wise men and philosophers have been converted: "Their voice goes out through all the earth"
If it is objected that even the law of Mohammed has been received by many, the answer is that the cases are not alike, because he subjugated them by oppressing them and by force of arms, while the apostles, by dying and by working signs and prodigies, brought others to the Faith. "I worry about how blogs touch the reputations of the journals that host them. I worry about First Things." Bottum does well to worry. The latest addition to the First Things' blog is so incredible that it defies a clear assessment: is it plain malicious or just idiotic? Let us assume, for charitable reasons, that it is idiotic. "I don't mourn the impending loss to the Church of lacy prelates at 'ritualist churches' (in Vatican City or elsewhere) curling their pinky fingers and going goo-goo over this or that to-die-for arrangement of Palestrina's Missa Papae Marcelli." No, that is not what gay priests do, FT. They are not "lacy" nor "ritualist", but self-centered "liturgists", bent on "creating" liturgical "experiments". They enjoy "remodeling" churches, destroying altars, making up sacraments as they go along; they love many children around the altar, altar servers of all ages and of both sexes; they adore clown masses, happy-clappy audiences, laughter and "reflection"; they hate "rubricism" and order -- and that is quite predictable, as the image they have of themselves, the "gay" image, is one based in open rebellion, disorder, and warfare against the Divine order. 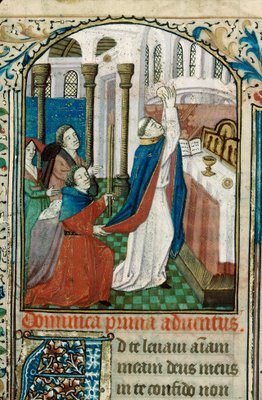 "Now, I don't know whether [Saint] Aelred was gay or not—mostly because the concept of defining oneself in terms of sexual orientation was unknown to medieval people—but I've always thought: So what if he was (or would be, by modern standards)?" "Many gays nowadays talk about their sexual identity as a "gift fromGod." Well, if that's so—and it may well be so..."
Perhaps because being a "gay man" is not slanderous... since the FT contributor herself admits that the "gay identity"..."may well be" a"gift from God". Now the slander was directed against the Almighty... which is called blasphemy. Yes, Bottum is right to worry about the First Things' blog. 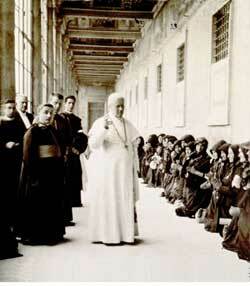 Therefore, after having condemned, as was Our duty, this iniquitous law, We have examined with greatest care whether the articles of the said law would leave Us any means of organizing religious life in France in such a way as to safeguard from injury the sacred principles on which Holy Church reposes. 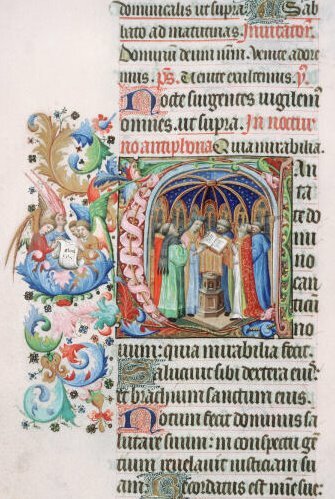 ... And now, knowing your views as well as those of several cardinals, and after having maturely reflected and implored by the most fervent prayers the Father of Lights, We see that We ought to confirm fully by Our Apostolic authority the almost unanimous decision of your assembly. It is for this reason that, with reference to the associations for public worship as the law establishes them, we decree that it is absolutely impossible for them to be formed without a violation of the sacred rights pertaining to the very life of the Church. ... while the law remains what it is, We declare that it is not permissible to try this other kind of association as long as it is not established in a sure and legal manner that the Divine constitution of the Church, the immutable rights of the Roman Pontiff and of the Bishops, as well as their authority over the necessary property of the Church and particularly over the sacred edifices. With reference to the special charge against the Church of having been more accommodating in a similar case outside France, you should explain that the Church has acted in this way because the situations were quite different, and above all because the Divine attributes of the hierarchy were, in a certain measure, safeguarded. If any State has separated from the Church, while leaving to her the resource of the liberty common to all and the free disposal of her property, that State has without doubt, and on more than one ground, acted unjustly; but nevertheless, it could not be said that it has created for the Church a situation absolutely intolerable. But it is quite otherwise today in France; there the makers of this unjust law wished to make it a law, not of separation, but of oppression. The legal standing of the Church in France would only be settled with a change in the interpretation of the Law of Separation, which allowed for a common understanding, between the Holy See and the French Republic, of the so-called "Diocesan Associations", accepted by Pius XI in 1924 (Maximam Gravissimamque). It is impossible to understand the passion that a Tradition-minded Catholic feels for proper liturgy if one does not realize that such passion goes much beyond aesthetics -- much, much beyond. 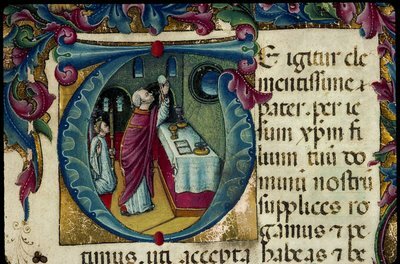 Why does a silent, simple, private Missa Recitata celebrated by a priest in a side Altar seem to nourish the faithful so thoroughly? -Auctorem Fidei (Condemnation of the errors of the Synod of Pistoia), Pius VI (Italian). The list is a mere suggestion, of course -- though I consider that these provide an indispensable panoramic view of the subject. 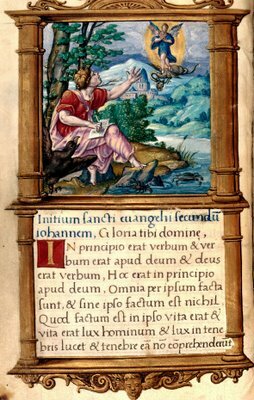 If you do not yet know the texts of the Traditional Roman Missal, a good option for brief introductions to the propers and to the Ordinary would be Dom Gaspar Lefebvre's Missel Quotidien et Vespéral (Saint Andrew Daily Missal); and, for some deeper analyses and explanations, Dom Prosper Guéranger's L'Année Liturgique ("The Liturgical Year"). Pope Benedict will visit his native Bavaria in early September -- so perhaps it is an appropriate time to remember some of his words to Catholics assembled in Bavaria some 40 years ago. 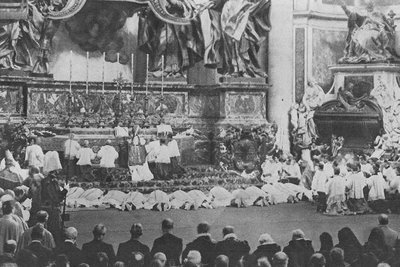 Since 1848, the Katholikentag has been the main periodical assembly of lay Catholics in Germany, under the guidance of the hierarchy. Its original intent was to establish a sort of "cultural solidarity" among German Catholics. After the last Council, it became a hotbed of dissent, epitomized by the scandalous Katholikentag of Essen, in 1968. The previous edition of the event had taken place in the city of the great Saint Otto, Bamberg, in July 1966. There, amidst the growing turbulence of the post-Conciliar age, with a Traditional liturgy which remained in the books but which was being destroyed in practice -- with no little help from the unmanageable changes proposed or imposed by the new liturgical bureaucracy in Rome, including the almost limitless experimentation allowed by the instruction Inter Œcumenici -- a man raised his voice to question the liturgical revolution. Among theologians, there is a certain archaism with the wish to restore the classical form of the Roman liturgy as it was before the additions of the Carolingian age and of the Middle Ages. One does not ask oneself, "What should the liturgy be like? "; but, rather, "What was it like once?" While the past gives us an indispensable aid to solve the problems of our age, it is not the criterion on which one should found the reform purely and simply. 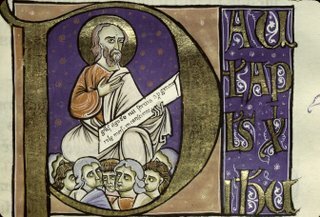 Knowing how Gregory the Great proceeded [to do] is good, but it does not force one to do the same. With such archaisms, the road towards legitimacy [in liturgical reform] has often been destroyed. Must every Mass be truly celebrated turned towards the people? Is it that important to be able to see the face of the priest? Isn't it often good to think of him as a Christian with the others and that, consequently, he has all reasons to turn with them towards God and by this act say Our Father with them? 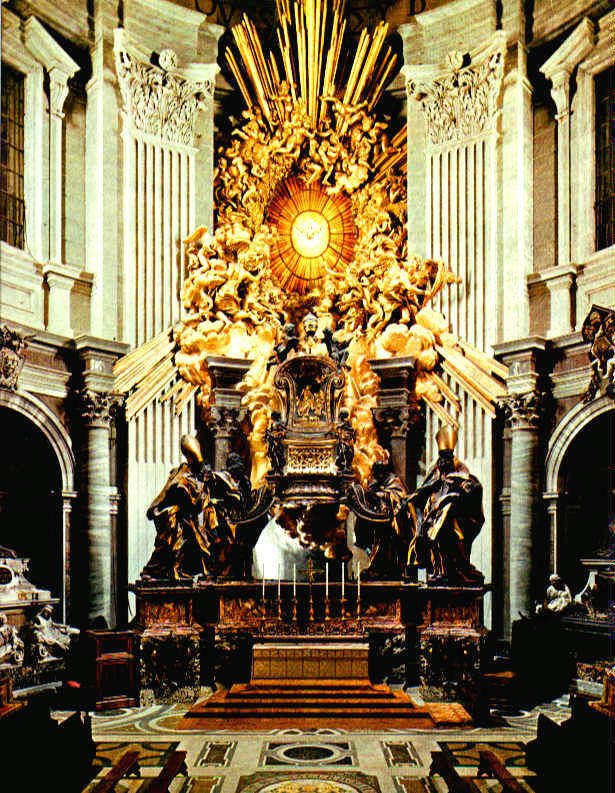 The tabernacle is detached from the High Altar, and there may be good reasons for that. But one should feel uncomfortable by seeing its place taken by the chair of the celebrant, expressing thus in the liturgy a clericalism which is much worse than that of before. 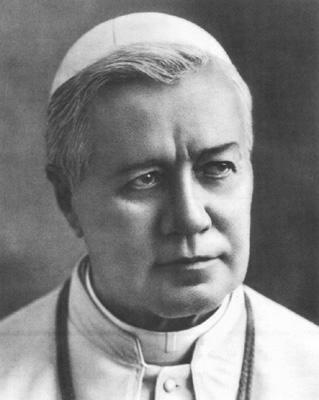 "If, from the Lefebvrist side, there is a sincere will to reenter into full communion with the Holy See, it will not be difficult to find the adequate ways to achieve this result." "A very demanding and interesting experience, even if the results were not positive. But the discussion is now reopened, especially after the historic audience granted by Benedict XVI to Bishop Bernard Fellay in the past year." The best Catholic news website in English has ceased its regular activities. Thank you, Peter Miller, for your wonderful work! The following text is a translation of an article by Father Chery, O.P. Father Henri Charles Chery was a French Dominican priest who wrote many books and articles in the 40’s and 50’s. His writings about the “Christian” sects are particularly interesting. His tracts about Jehovah’s Witnesses, Anabaptists, Quakers, Christian Scientists, Rose Cross and so forth give us much information that can help us to deal with the problems of these sects. Another part of his work concerns the Liturgy. This article was published in the French review of the Fraternity of Saint Peter, Tu es Petrus, in the issue of July 2005. I want to be most faithful to the original French version. May Our Lady, Refuge of sinners, help us to benefit from the reading of this text for the good of our souls. This is not a piece of urgent news, but it is one of best additions to the web in recent memory: the unabridged versions of Dom Prosper Guéranger's Institutions Liturgiques and L'Année Liturgique (The Liturgical Year), in French. Other works of this most admirable man - Homo Ecclesiæ, as Pope Blessed Pius IX called him - are available in this website, of which we had not been aware, hosted by the Abbey of Saint Benoît de Port-Valais, Switzerland.